NatGeo is running a pretty cool story about a new taxon of metriorhynchid - an aqautic branch of the crocodylian line - named from fossils discovered in a limestone slab destined for an Italian kitchen. First quarried in the fifties, the fossils were noticed by the homeowner and to his credit donated to the Giovanni Cappellini Geological Museum. Though a small member of the family - not outside of the size range of modern crocs - this predator of the ancient Tethys Sea is notable for being the earliest yet of the metriorhynchids, having hunted those waters about 200 million years ago. The Neptunidraco slab with description co-author Andrea Cau. Photo courtesy Galileo Gallery, via flickr. Head over to NatGeo for more, and tip of the hat to paleontologist Dan Chure of Dinosaur National Monument for sharing this with Vertebrate Paleontology Mailing List. There is more than one way to erect a new dinosaur taxa. One way, the way the public is more familiar with, is to simply find the fossil bones, determine that they are unique enough to warrant a new taxa, and name it in a descriptive paper. But often, an analysis of fossils already in a collection will lead a researcher to the conclusion that they warrant being renamed as a new species. This is the case with the newest - presumably last - member of the ceratopsian class of 2010, Titanoceratops ouranos. In a paper published this week in Cretaceous Research, Nick Longrich of Yale proposes that an exceptionally large Pentaceratops specimen at the Sam Noble Oklahoma Museum of Natural History is unique enough to warrant its own genus. The Sam Noble specimen. Photo by okiebadger, via flickr. Though this ceratopsian giant was discovered in the early forties, it wasn't until 1995 that it was released from the rock matrix containing it. It's such an exceptional specimen that its skull made the Guinness Book of World records as the largest possessed by a land vertebrate, measuring about ten feet tall when stood nose to frill. Longrich's cladistic analysis concludes that it doesn't match well with other Pentaceratops specimens, instead looking more like the skulls of that most popular tribe of ceratopsians, the triceratopsins. Longrich's paper suggests that the triceratopsins were the sole tribe of truly giant horned dinosaurs, and that they originated in the southern part of the North American continent, several million years earlier than previously thought. Ceratopsian research is particularly vigorous right now, and it's going to be a while before all of the twigs and branches of this part of the dinosaur family tree are figured out. Since we can't observe these creatures living in the wild, we can't be totally sure which features denote species and which denote variations within those species. In this paper, Longrich provides his version of the triceratopsin tribe and does not factor in Horner and Scannella's paper lumping Torosaurus into Triceratops. So, though Titanoceratops is a very cool name... don't stake your future happiness on it sticking around forever. Though 2010 was the Year of the Ceratopsian, a simple calendar change won't shut the book. There's going to be plenty of work to mull over in 2011 and beyond. Update: As brought up by Matt Martyniuk on the Dinosaur Mailing List, this is a pre-publication announcement of an accepted paper, so rather than the last new ceratopsian taxa of 2010, Titanoceratops might end up being the first of 2011. Bill Parker has posted about the issue of pre-publication announcements like this on taxonomy at Chinleana. I'll expand more on this in this week's Mesozoic Miscellany roundup. The CBS news program 60 Minutes has made their short segment on the research of Jack Horner and Mary Schweitzer available online. It's a pretty good job of science reporting in a short format, and it would be nice to see something longer about the subject of "reverse engineering" a dino-chicken. Especially if they were to add several more reactions shots of Lesley Stahl, each one more astonished than the last. If you're viewing this in a feed reader, you may need to click through to see the video. The CBS video player is nutty. Since beginning his blogging career around the middle of this rapidly dwindling decade, Brian Switek has risen to become arguably the most visible and important blogger writing about paleontology. From dinosaurs to Cenozoic mammals to the evolution of our own species - assuming there's not a precocious budgie out there perusing this blog - Brian has a wide ranging curiosity about the history of life on Earth and how paleontology has contributed to our knowledge. To that end, he recently published his first book, Written in Stone, which looks at some of life's most important evolutionary transitions as told by paleontology. If you've read his work at Laelaps and Dinosaur Tracking, you'll already know that Brian is an exhaustive researcher and picks out little-known historical facts with the relish of a bone sharp sniffing out a fossil. This is exactly the spirit in which Written in Stone is written, and suspect it will tip off the "old media" that an important new voice in science communication has arrived. Much pro-evolution writing lately has downplayed the importance of the fossil record, and Brian ably makes a case that there is still much to be gained by studying the fossil evidence of ancient life. Incidentally, I'll be posting my own review of Written in Stone, hopefully next week. Brian recently offered some of his time to do an interview, and I began by asking about another science communicator who was important to his development as a writer as well as mine, the late Stephen Jay Gould. You've mentioned Stephen Jay Gould as an influence. Which of his pieces of writing are most important to you? I adore Gould's essays. When I feel dried out and I need some inspiration, I usually pick up one of his anthologies (as well as collections by David Quammen and Robert Sapolsky) to recharge myself. Even when Gould wrote books - such as Wonderful Life and Full House - he did so in a winding, circuitous manner which seemed like a series of essays strung together along a central argument, but it was the anthologies I loved best. As for the most personally influential bits of Gould's writing, however, I can name two essays from two of his later books. The first is the eponymous essay from The Lying Stones of Marrakech, and the second is "A Lesson From the Old Masters" in Leonardo's Mountain of Clams and the Diet of Worms. I read Lying Stones at a critical time when I was just getting back into science. I did not know very much about paleontology, evolution, or history, but by recounting a centuries-old fossil prank Gould convinced me that it is of extreme importance to understand the history of science. Our present ideas about the history of life are moored to a long history of scientific discovery and debate. Science, after all, is a human enterprise - how can we possibly appreciate our current perspective without understanding how ideas about prehistory have changed over time? You discuss a lot of scientists and thinkers who don't get a lot of exposure. Was there one in particular who was a revelation to you as you researched Written in Stone? Oddly enough, I was most impressed by the work of Thomas Henry Huxley. He is the kind of naturalist who - despite being so readily recognized - is hidden in plain sight. I had always heard of him as "Darwin's Bulldog" and the man who first proposed that dinosaurs had evolved into birds, but when I read his original work I was surprised by how much more there was to his research. Some of his ideas - such as the argument that most major evolutionary changes occurred during non-geologic time that would never be tapped by paleontologists - have obviously turned out to be wrong, but in other ways he was a very modern thinker and writer. During a time when evolutionists were hungry for fossils exhibiting transitional features Huxley stressed caution - it is important to discern between evolutionary "uncles" and "fathers." In terms of avian origins, especially, Huxley used various lines of evidence to re-envision dinosaurs and propose them as the sort of creatures from which birds evolved. He did not say that little Compsognathus was ancestral to Archaeopteryx (the earliest recognized bird), but instead cast it as the sort of creature from which birds had been derived. Once I got beyond the popular caricatures, I was fascinated by the role Huxley played in the nascent field of evolutionary science. Owen is another scientist whose reputation you help to restore in Written in Stone. Do you feel a sense of duty to present forgotten nuances of these figures who as you point out, are often reduced to caricatures? I can't really take much credit for restoring Owen. Historians like Adrian Desmond, Nicolaas Rupke, and paleontologist Kevin Padian have all done more than I have, but I wanted to make sure I spent some time talking about Owen and the odd place he occupied in Victorian science. Viewed from our modern perspective - in which history is often given short shrift - it seems easy to divide the naturalists of the day into evolutionist and creationist camps based upon their opposition to Charles Darwin's evolutionary theory. Doing so, however, is rather poor history, especially since many naturalists who opposed the idea of evolution by natural selection were themselves evolutionists! Owen is probably the most prominent example. In his lecture On the Nature of Limbs (printed in 1849), Owen ends by invoking "natural laws or secondary causes" to explain "the orderly succession and progression of ... organic phaenomena" such as the homology of the vertebrate skeleton. In other words, Owen was thinking about evolution - and publicly speculating about it! - a decade before On the Origin of Species was printed. The social conservatives who made up Owen's main support group understood this and balked at it, but Owen's habit of clothing his language in religious terms often confused evolutionists within Darwin's camp. If you read Darwin's letters about Owen, it is clear that Darwin knew that Owen was an evolutionist and that Owen was seriously pissed about being mentioned as one of the naturalists who affirmed the "immutability" of species in On the Origin of Species, but - perhaps principally because of his condescending and self-referential critiques of natural selection - Owen has wrongly been cast as a creationist by those ignorant of history. So, to put it a bit more simply, I did feel an obligation to do justice to naturalists like Owen who have often been sorely misunderstood. Even so, I found the actual stories to be much more engrossing than the standard, textbook-cardboard version I had so often been taught. It was actually a lot of fun to dig into these stories and introduce lay readers to an unfamiliar view of history. What modern paleontologists do you hold in high esteem? That is a ticklish question. Admittedly I feel a little sheepish about answering given that I have met and corresponded with so many exceptionally-talented paleontologists over the past few years that I worry about leaving someone out! Off the top of my head - and mind you this is just the tip of the iceberg - I have been very much impressed by the work of Larry Witmer, Jennifer Clack, Hans Thewissen, Elisabeth Vrba, Phil Currie, Jakob Vinther, and Andy Farke. I could go on and on about any of these people, but I do want to save special mention for David Parris. David is the head curator of natural history at the New Jersey State Museum and is one of the most brilliant people I have ever met. He knows more about natural history than I probably ever will, he always has a story to tell, and he has been exceptionally kind to this nascent naturalist. In fact, he has been kind enough to let me work on prepping a Thoracosaurus skeleton at the museum twice a week, and I am grateful that he has given me a chance to engage directly in paleontology at the museum. This summer, Scott Sampson wrote a pair of posts at his Whirlpool of Life blog that resonated with me, about the way the idea of "natural history" has faded as scientific disciplines have become more specialized. Do you have any special affinity for the phrase, or the idea of the "naturalist" in the mold of someone like the scientists of the Victorian era? I do. Like Scott, I think true naturalists - those scientists who have a deep understanding of various parts of the natural world - are very rare. David Parris, the head curator of the natural history department at the New Jersey State Museum, is one of the few naturalists I know. I have never met anyone with such a comprehensive knowledge of zoology, geology, vertebrate paleontology, and invertebrate paleontology - he knows something about just about everything! That kind of brilliance is very rare. I wish I had it. I know a bit about evolution, zoology, and vertebrate paleontology, but I am useless when it comes to geology, botany, and other disciplines which full under the banner of natural history. To a certain extent, I think our increased understanding of the natural world has made it more difficult to be a naturalist. Pick any aspect of natural history you like - it is impossible to read all the literature and it can be extremely difficult to keep up with new discoveries. To some degree, specialization is needed because no one person can keep up with it all! Beyond that, though, many of the 19th century naturalists we admire were trained in a very different way than modern scientists. There were no PhD programs in paleontology or specially-designed arrays of classes for them to take. They went out into the field to study, went on excursions with their professors, and, in general, learned about natural history by engaging in the process of discovery. We don't have that now. Instead we have a long training period where a particular focus is selected and courses relevant to that single question (or set of questions) are carefully selected. Still, there are people who still follow in the self-taught tradition of the 19th century naturalists - learning about nature just because they are so in awe of it - so I think there will always be at least a few naturalists, no matter how rare they are. Regarding those disciplines of natural history that you don't have a strong grasp of, which one do you most want to learn more about? Geology. No question. Geology provides the context for so much of our understanding of prehistoric life, and I really need to make a more concerted effort to educate myself about the geological aspects of paleontology. What old stale notions about prehistoric life do you most wish would just disappear? It seems like if you spend any amount of time writing about paleontology, there are certain myths you can't avoid dispelling over and over again. The "March of Progress" - or the idea that evolution proceeds towards particular goals which are inherently superior to all previous stages - is one. (I recently wrote a take-down of this subject for the Scientific American guest blog.) We know evolution does not work that way, yet the imagery keeps cropping up over and over again! It will probably remain with us for some time, however. If Stephen Jay Gould couldn't dispel this myth (see the opening chapter of Wonderful Life), then I doubt that I can do much better! If you don't mind me tweaking your question a little bit, though, I think myths about the history of science bother me more. We have a habit of creating a villain for every hero and interpreting the process of science itself as an onward-and-upward endeavor in which every new bit of data fits neatly into the puzzle of the natural world. Yet this isn't so. Science is very circuitous and is marked by contingent events just like evolution itself. Take feathered dinosaurs for example. For reasons relating to where the science of paleontology developed, culture, and politics, the feathered dinosaurs of China have only just recently become known to us. Imagine if, by some stroke of luck, British naturalists became aware of the feathered dinosaurs of Liaoning, China right around 1861, when the first recognized skeleton of Archaeopteryx was discovered in Germany. Such an event would probably have changed the nature of the debates over the origin of birds which followed. True, we can't know for sure what really would have happened, but my point is that lucky discoveries and contingent events influence our ideas about the natural world, yet this concept is not often grasped. What recent technological development do you think has the most potential to give new insights into the ways dinosaurs lived? Or conversely, do you see any potential pitfalls with any of them? I was extremely excited to see Jakob Vinther's discovery that well-preserved dinosaur feathers retain tiny, pigment-carrying spherules called melanosomes and therefore can give us an idea of how some dinosaurs were colored. Work in this area is obviously just beginning, but, in addition to giving us new insights into the color of feathered dinosaurs, these techniques might allow us to detect differences between the sexes of individual dinosaur species and detect the range of variations present in feathered dinosaurs (both important to understanding the evolution of these animals). Unfortunately not all colors will be preserved - some colors, such as yellows and oranges, are the result of biochemistry rather than melanosomes - but the ability to detect dinosaur colors will undoubtedly improve our understanding of how these animals lived and evolved. It is truly wonderful. With Reign of the Dinosaurs, Terra Nova, and the recently announced Walking With Dinosaurs 3D project, it's gearing up to be a big couple of years for dinosaurs in the public consciousness. What do you hope to see, or hope these productions avoid? It is funny how different people can have disparate perspectives - I just recently talked to some folks involved in television production and they said interest in dinosaurs seems to be waning! Clearly, with all these major projects starting up, that's not the case. In terms of the programs you mentioned specifically, I am not sure how I feel about them. On the one hand it is wonderful to see dinosaurs restored through ever-better computer technology, but the presentation of the dinosaurs often bugs me. As visually impressive as the original Walking With Dinosaurs was, I didn't particularly like the storytelling style which obscured the science behind those restorations. (To provide a bit of personal context, I grew up watching programs like 1985's Dinosaur! - best known as the program hosted by Christopher Reeve - which mixed wonderful special effects by Phil Tippet with the story of dinosaur discoveries.) Using narratives involving the dinosaurs themselves to draw audiences in is good, but what good are they if we don't explain how we know dinosaurs would have looked like that or done those things? This isn't just me. More than a few times, I have been watching dinosaur documentaries with non-paleontologists and had them ask me "Wait, how do they know that?" at certain points. Viewers know that our knowledge of dinosaurs is incomplete and constantly-changing, and I think we need more programs which explain the science of what goes into bringing a dinosaur back to life. Lest I sound too cranky, though, I am sure I will watch all these programs and delight in seeing dinosaurs walking around. Reign of the Dinosaurs and Walking With Dinosaurs 3D will undoubtedly be beautiful programs which will likely be cited by a future generation of paleontologists as being important in stoking their love of prehistoric life, and that's a good thing. 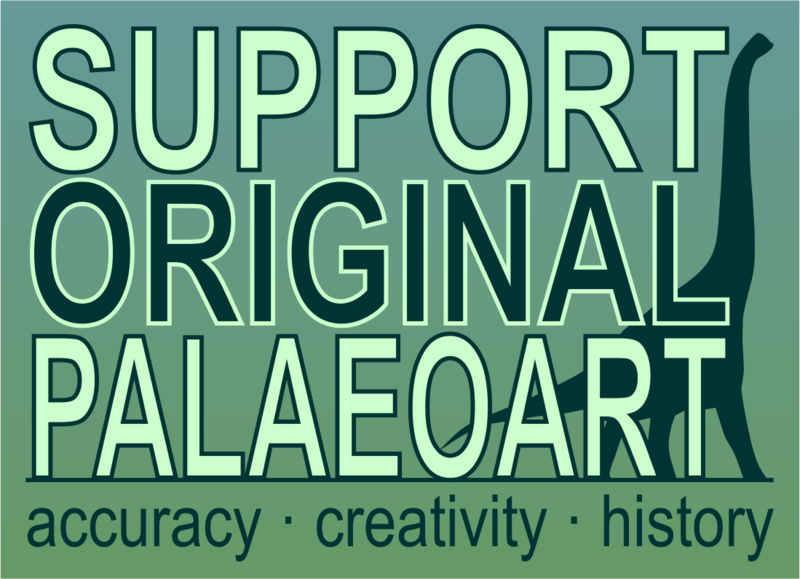 What has been your favorite paleontology story of 2010? That is a tough one. There have been so many discoveries and announcements... it is difficult to choose! I guess, if I had to pick just one, I would pick the description of Utahceratops and Kosmoceratops. I had actually seen the skull of at least one of these dinosaurs in the prep lab of the Utah Museum of Natural History in the summer of 2009, and I visited the place where they were found - Grand Staircase Escalante National Monument - just last May, so it was exciting to see these dinosaurs enter the literature. More than that, I was glad to see the authors of their description draw out some hypotheses about dinosaur evolution and biogeography. That is the sort of stuff I love - when bizarre new species can also tell us something about the way dinosaurs evolved while also spurring the generation of new hypotheses. One thing I've gained from doing serious reading about natural history and following paleontology news is to be comfortable with uncertainty, with the idea of provisional understanding that will likely be revised. In what ways have your own studies impacted your general worldview? I have had a similar reaction. Before I started reading the primary literature for myself, most of what I knew about science came from news reports. Scientific journals seemed to be near-final arbiters of scientific quality where only the best research was printed. Obviously, as [the recent] controversy over "arsenic life" shows, that is not the case - my initial perceptions were a bit too rosy, and publication is just an early step in scientific discussion and debate. You can't really appreciate that until you dig into the technical side of science (although blogs often help make these discussions more accessible to non-specialists). Science is not a matter of obtaining one fact after another until we have collected every bit of data. It is a vibrant process of understanding in which old ideas are constantly being scrutinized just as new ones are being proposed. That is what is so wonderful about it! At a more personal level, I am enthralled by the perspective of nature that paleontology can provide. To be able to look at an isolated tooth, bone, track, or other fossil and say something meaningful about life which flourished and vanished millions of years ago - I am constantly amazed by that. Paleontologists are familiar with the idea of a "search image" - a sort of concept or archetype you develop that helps you distinguish between rock and the fossils you are after. In the same way, understanding life's history has allowed me to see patterns and connections that I was previously blind to. (For example, why whales swim the way they do - oscillating their tails up and down rather than side-to-side like fishes - is best understood from an evolutionary standpoint and hearkens back to a time when early whales walked on land.) I guess, when you get down to it, I love that paleontology is about stories - narratives not only of life itself, but how we have come to understand it. Since November, Scientific American's Guest Blog has been humming with activity, with multiple posts every week covering a wide range of scientific topics. Today my own contribution is up: How to Name a Dinosaur, a look at the ways a layman tasked with naming a new taxa might go about it. It includes Matt Van Rooijen's awesome Diabloceratops portrait, too! 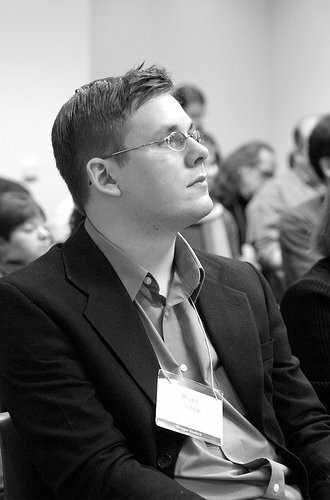 The Guest Blog's heightened profile is due to the tireless work of Bora Zivkovic, who took the job of Chief Editor and Community Manager of the SciAm blog network earlier this year. I'm new to the science blog community, having been writing here for about a year and a half. A true watershed moment came this July when PepsiGate happened at ScienceBlogs. At that moment, my eyes were opened to just how vibrant and resourceful the science blogging community was, and I saw that Bora was one of the chief players, promoting the value of science blogging and writing insightful pieces of his own exploring the way science blogs fit into the larger media picture. It helped me think smarter about what I do with LITC and what I want to do with my future in communicating science. Head to his website and follow him on your social media of choice. You will not regret it. Thanks again for inviting me to post at the Guest Blog, Bora. This has been a year of unexpected good fortune for me as a blogger, and being able to join in the conversation at SciAm is definitely the cherry on top of the 2010 cake. Happy Boxing Day to all of my commonwealth country readers. Here's a little treat: David Resto is continuing his Superhero Dinosaurs series, and I think this one is my favorite yet, because it's such a perfect fit: Carnotaurus, that popular abelisaur, dandied up like Daredevil. Resto has said that he intends to do some DC characters, too. It's fun to wait for new ones to pop up. Who's next? Will he do a Batman and Robin duo? Spiderman? Does he dare try to do the Lizard? And what new dinosaurs will receive the treatment? Oviraptor? Therizinosaurus? How about an all-alverezsaur Justice League? looking forward to see where he takes these. It's Christmas. Big deal! No reason we can't celebrate the best of the dinosaur blogosphere for the last week, and besides: I'm sure Kris Kringle and his elves would like something to read as they relax after a night of frenzied labor. 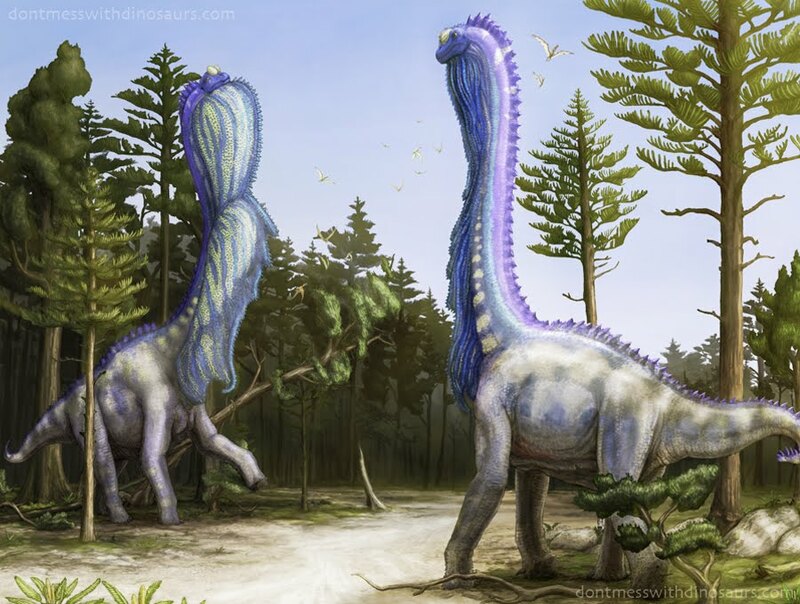 The Field Museum's Lindsay Zanno and Peter Makovicky published a new study in PNAS this week looking at the dietary habits across the coelurosauria. Read more at Dinosaur Tracking. Everything Dinosaur, Chinleana and Palaeoblog all wrote about the gorgeously preserved Luoping biota of China, dating from the Middle Triassic and revealing a marine ecosystem fully recovered after the cataclysmic extinctions at the end of the Permian. Wonderful, frame-worthy fossils. Clean your dinosaurs! Saurian posted an even-handed rant about the dusty dinosaur skeletons in some museums. Glendon Mellow celebrated his 500th post at the Flying Trilobite, providing a list of some of his favorite posts, including one on the use of dinosaur bones... as Chinese folk medicine. At Archosaur Musings, Dave Hone interviewed artist Mick Ellison, who has been associated with the American Museum of Natural History for two decades, and done especially beautiful work on small Chinese theropods. Hone also shared some photos of beautiful Pterodactylus specimens at the Solnhofen Museum. Two posts: first and second. Speaking of which... pterosaur or pterodactyl? Everything Dinosaur provided a quick distinction between the terms. At his always illuminating blog Gurney Journey, Dinotopia creator James Gurney provided a look at the creation of a painting using action figures and his own homemade Deinocheirus figurine. Learning the color of Anchiornis made number one on Ed Yong's list of the "They Did What Now?" science stories of 2010. I was extravagantly busy this week, so I didn't do a heck of a lot of tweeting. To my eternal regret, rest assured. But here's a few things I tweeted. Kentuckians, see paleontologist Jack Horner in Lexington this February. Hmm. I apparently invented a new dinosaur called "steosaurus" in a recent tweet. Closely related to the terrible Malgrafotitan. Iamchuckyouarepie shared this T. rex as Santa, by someone named NM. This is by Patrick Redman, and it is freakin' awesome. I imagine this is played out, but somehow I just discovered these videos, thanks to my wife accidentally happening across one when searching for crazy yo-yo tricks on Youtube. K-Strass! Fittingly enough, this week's title in the Vintage Dinosaur Art series is Dinosaur's Christmas by Liza Donnelly. More minimalist cartooning and good-natured holiday adventuring. A dinosaur-crazed boy happens across a Plateosaurus while sledding, and is promptly taken to the North Pole, where they find the workshop where Santa's indentured servants (or if you're a traditionalist, elves) are making dinosaur toys. 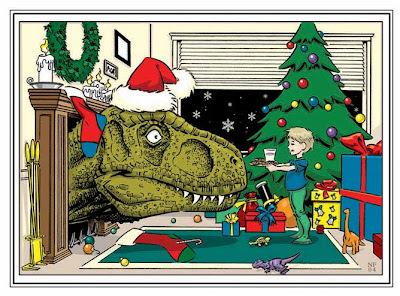 There's a problem, Plateosaurus says, and only a child with a sound knowledge of paleontology can save Christmas. The kid brings his knowledge to bear, lecturing the elves about the anatomical gaffes of their dinosaur toys. The mistakes the elves made are absolutely ludicrous, such as sticking wings on a nodosaur. Clearly, these elves did little preproduction research. When Santa's reindeer all come down with the flu, the Plateosaurus reveals that it can make sounds besides unintelligible chatter when it starts shrieking a sort of super-effective dinosaur call. A horde of dinosaurs comes marching over the horizon to save the day, happily submitting to Santa's whip and pulling his magic sleigh. Finally, Santa and his dinosaur-driven sleigh drop the boy off at home. By which I mean that he's literally dropped down the chimney from a great height. I'd wager it might have something to do with Santa getting sick of being lectured. One thing I appreciate about Donnelly's dinosaur books is her willingness to stray from the most popular names in dinosaur-kind; this one includes Nodosaurus, Bactrosaurus, Kentrosaurus, and Stegoceras. This is a book for those kids who sit under a picnic table discussing basal ornithischians while their classmates are dominating the playground reenacting Tyrannosaurus vs. Triceratops for the hundredth time. Mark Witton posted this nifty little greeting last year, and since he was wise enough not to date it, it still applies. So I'm using it, the way my grandmother recycles wrapping paper. 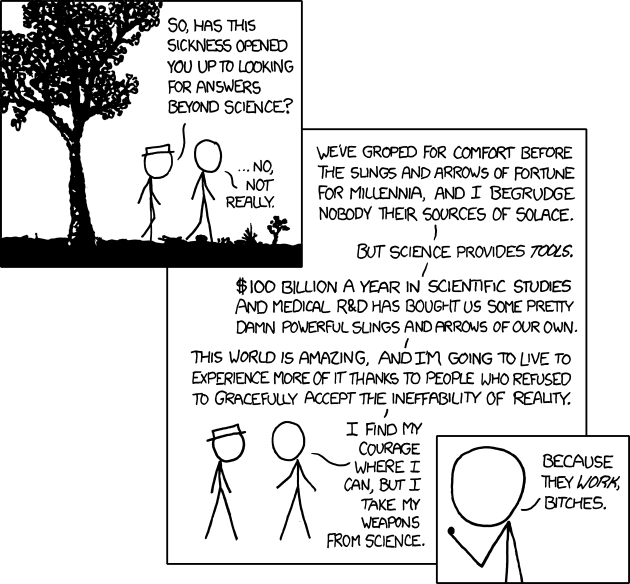 XKCD is one of the most reliable webcomics out there, and lately creator Randall Munroe has been knocking them out of the park. Recent installments dealing with a sickness in his family have been really touching, handling the difficult emotional terrain without ever dipping into sentimentality. Munroe's a great writer, period, using stick figures, line drawings, and knowledge of mathematics and science as his tools. Regarding science as a tool, one of this week's comics articulates the reasons why I trust in it over any other way of seeing the world as well as anything I've ever read on the subject. His ability to say so much in so little space is astounding. Look at how he balances confidence and uncertainty, respect and irreverence, seriousness and humor all in less than 150 words. I read that and felt such gratitude. Best wishes to Randall and his family in this difficult time. Since this is a dinosaur blog and I have some standards - loose though they may be - here's an XKCD that deals with dinosaurs. You know what's hard to find? Good video of Perissocephalus tricolor, popularly known as the Capuchinbird. The best footage I've seen is in the "Signals and Songs" episode of David Attenborough's The Life of Birds, which I am rewatching on Netflix instant right now. One of the wildest sounds I've ever heard a bird make comes out of the Capuchinbird, a nasally, harsh, droning sound that explains its second nickname, the Calfbird (which is what Attenborough calls it in the series). Here's one of the only videos available at Youtube. I love this bird, a member of the South American tribe of passerines called cotingas; it's normally found in Guyana and Brazil. With its bald, pale blue head and tawny body, it's delightfully ugly, as if in open defiance against the most beautiful members of avian kind. In the Life of Birds footage, the bird's grotesqueness is even further amplified when its neck pouch inflates, stretching it to the point of translucence. That in itself isn't too odd, but the feathers of the Capuchinbird are arranged such that the front of the inflated pouch is completely covered, leaving only a small "window" on the side which can be seen through. Combined with the rest of its bizarre body and the otherworldly sound it makes, it's a striking effect that brings home the ability of nature to devise endless ways to startle and amuse. Photo by Joao Quental, via flickr. 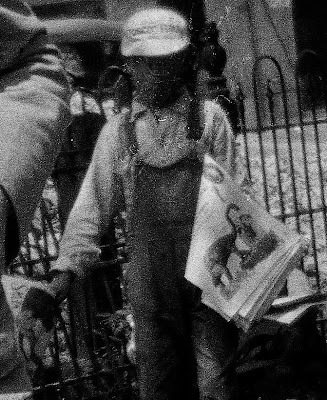 The Smithsonian Institution's Flickr photostream includes a set dedicated to the 1925 "Scopes Monkey Trial." A keen-eyed user - probably someone from the Smithsonian - added a note to the photo, pointing out a dinosaur "easter egg." Zoom in, and it comes in loud and clear. I haven't been able to figure out what paper the boy is selling, unfortunately. The Smithsonian's Bigger Picture blog features a post about this collection of images. Today, we check off yet another fine publication from Rourke, who did a series of books in the eighties dedicated to dinosaurs and assorted other prehistoric animals, from the obscure to the iconic. We'll be on the iconic end of the spectrum this time out, with the title Allosaurus, written by Ron Wilson with illustrations from series regular Doreen Edwards, who also illustrated the recently-featured Pteranodon. As these titles were mostly done before the dinosaur renaissance really took hold, you see plenty of "man in suit" style theropods, standing with their backs at high angles, with tails dragging on the ground. And they're decidedly reptilian in aspect, almost devoid of the avian character most theropods are given today. I like Edwards' illustrations, which outclass most of the other artwork in the series, and I'd like to see what she would do with dinosaurs from a more modern perspective. Here, Allosaurus is skulking in the underbrush while two Archaeopteryx proudly display their colors above. The story, set in a convincingly-staged Jurassic period (save for the fact that Archaeopteryx is not from the same area as the other dinosaurs in the book) is a complete downer. The titular dinosaur, a female, is old and unable to hunt like she once could. So she wanders around a bit, trying to find some grub. She watches as a young male takes down a Diplodocus. No cunning required: he just jumps it and bites its neck. Of course, the Diplodocus watches on in horror, defenseless. She's chased off of the fallen Diplodocus by the male when she tries to join him. A pair of small Ornitholestes get their share, but our poor Allosaurus is forced to flee. I must say: that young male made quick work of that sauropod. Stealing a page from the Ornitholestes' playbook, she tries taking down an Archaeopteryx. No dice. And then she dies. The book ends with an act of cannibalism, which too few children's titles have the nuts to try. It's damned depressing, and I imagine a fair portion of children who read this book needed a good hug afterwards. Frustratingly, I can't find any solid information on Doreen Edwards. There's a musician and an engineer by the name, but I haven't found any reference to an illustrator except in book listings. Doreen, if you're out there, give us a holler! Juravenator, a gorgeously preserved compsognathid from the Solnhofen Limestone of Germany, has been in the news this week, with Chiappe and Göhlich's new paper describing its anatomy. Helmut Tischlinger's UV photography has once again revealed details unseen by the naked eye: bits of soft tissue on the tail, including feathery fuzz. The apparent absence of it was a bit confusing when originally described, throwing the model of early evolution of feathers in theropods into doubt. For more, check out posts at Archosaur Musings, DinoGoss, and Dinosaur Tracking. New troodontid from the Cedar Mountain Formation in Utah! It's called Geminiraptor suarezorum, and Brian Switek has the details at Dinosaur Tracking. At Archosaur Musings, Dave Hone has written a two-part post (one and two) discussing his new paper on mandibular fenestrae in pterosaurs. In another of his fine field diaries from the Oxford Clay, Saurian wrote about a 2009 trip to the site known as Quarry Four. The Central Coast Paleontologist has a two-parter this week, providing a nice rundown of the dinosaurs of Laramidia, the "Lost Continent" of the Cretaceous. Here's one and two. Stuff I've tweeted in the last week or so. Seduce Me by Isabella Rossellini: "Why did he choose her with those ears??" It's a twofer for today. This was an unusually fruitful week for dinosaurs on Tumblr, and it was hard to restrict myself to just two. First up, Dinosaurs F*** Yes shared this photo, entitled Grimlock vs. Munkzilla. It's the work of Matt Parsons, whose prints you can buy at Red Bubble. H/T to I Effing Love Dinosaurs. Not a hundred percent perfect - those dromaeosaur hands are turned the wrong way, and he could be fuzzier - but I like the concept of this Katherine Smith piece shared by the Cornell Lab of Ornithology on Flickr. Extra ChasmoPoints® for including the Eastern Kingbird, one of my favorite field birds. Can't help it. I love small, simply-colored birds. Listen to Meet the Skeptics! Chris Brown's* relatively newish podcast neatly fills a niche in the burgeoning skeptical podcasting world, by providing casual, long-form interviews with names big and small in the critical thinking community, including James Randi and George Hrab. Orlando bound? The Triceratops at the Jurassic Park attraction at Universal Studios is back in action, as reported by Orlando Attractions. Here's what it looks like in real animatronic life. It would be kind of nice to see the sick Triceratops from the movie, with gross tongue vesicles for the kids to squeeze. A raptor pit. It would be pretty cheap: all you'd need would be a bunch of snarling raptor sounds, a fake cow suspended from a crane, and a bloody tattered sling that could be swapped out when the crane pulls it back up. Cheap and effective. A live "gymnast versus raptors" show. A spitting Dilophosaurus. Nothing caustic. Maybe some edible goop like what was used on Double Dare. A Jeff Goldblum impersonator endlessly nattering on as you proceed through the attraction. At the very least, a huge pile of Triceratops dung. Chop chop, Universal. Anyone been to the JP attraction at the park? For financial and temperamental reasons, I usually camp instead of hit theme parks for my vacations. As another winter storm bears down on Indiana, I feel for poor old Uncle Beazley, the subject in this 1977 photograph shared by the Smithsonian Institution on their Flickr photostream. Image courtesy the Smithsonian Institution, via flickr. The most interesting thing in this TV adaptation is, of course, the triceratops. 'The Enormous Egg' could be sub-titled 'The Microscopic Production Budget'. I think they spent about 29 cents on the dinosaur ... and yet all of the dinosaur sequences are very impressively done. The triceratops in this film is 'played' by a huge dinosaur-shaped piece of moulded fibreglass which does NOT have articulated limbs, so the individual portions of the triceratops cannot move separately. The thing is like a child's toy plastic dinosaur (all in one piece) except that it's life-size. I haven't found any video of it, unfortunately. The review also mentions that Uncle Beazley is one of the Sinclair dinosaurs from the New York World's fair. Image from Jordan Smith, via Flickr. There's Uncle Beazley in the center of the exhibit. Garland Pollard of BrandLandUSA confirms that he is indeed from the World's Fair. The fate of the dinosaur models from the various world's fairs is something I'm pretty interested in, and it's really cool that Uncle Beazley has survived, now residing at the National Zoo, while his brethren enjoy a Texas retirement. Uncle Beazley at the National Zoo. Photo by Mo Kaiwen, via flickr. Dinosaurs, reimagined as Marvel superheroes! David Resto has done a bunch of them. My favorite is Paracyclophus. Additional props to David for citing his sources, in the form of the original pieces from which his poses are drawn from. Image provided by the HMNH, via flickr. When the Houston Museum of Natural Science reveals its remodeled paleontology hall in 2012, its recent discovery of a nearly complete, articulated Dimetrodon will be a beautiful centerpiece for the portion dedicated to the Permian era. The Permian is well represented in the Lone Star State, and as the biggest predator of the time, sail-backed Dimetrodon is its most famous denizen. Often mistaken for a dinosaur, as most large, strange looking beasts of the past are apt to be, Dimetrodon was a synapsid, more closely related to you and I than to Apatosaurus and Triceratops. The branch of the evolutionary tree that bore Dimetrodon was an offshoot of the one that led to the early mammals of the Mesozoic era, though by that time, Dimetrodon was long extinct. The beast's nickname, "Wet Willi," is a tribute to Samuel Wendell Williston, an American paleontologist who started his career as one of O.C. Marsh's fossil hunters during his Bone Wars with E.D. Cope in the last quarter of the 19th Century. Williston helped excavate the type species of Allosaurus and Diplodocus for Marsh, and like many paleontologists of the time, his interests were broad. Naming a Dimetrodon after him is fitting; he was active in the area where Wet Willi was found and in 1911, he wrote the book American Permian Vertebrates. Remarkably, Williston produced all of his own artwork for his books and papers, which included not only detailed reconstructions of fossil bones but life restorations. 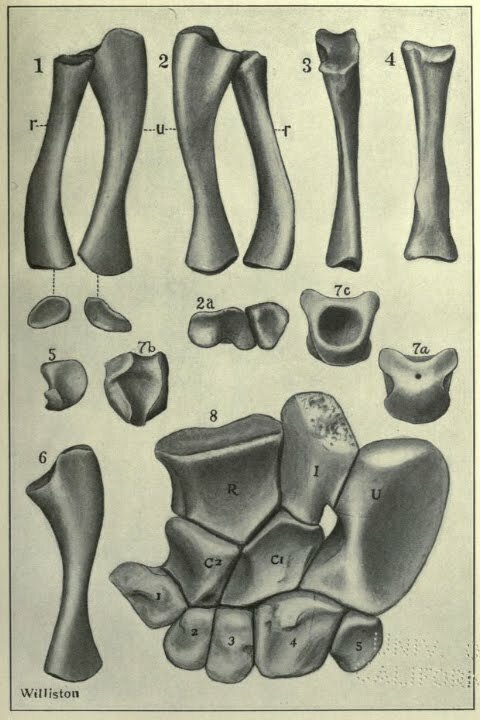 Pelycosaur bones, as drawn by Williston. Fig. I - VI are radii and ulnae of Varanosaurus; Fig VII A-C are of an odontoid of an undetermined pelycosaur; and Fig VIII is the carpus, or wrist, of a Dimetrodon. From American Permian Vertebrates. Williston was one of those special scientists who are lucky enough to possess artistic talents, as well. I'm always impressed by those who can do both. Both skills require keen observation, patience, and discipline. Both nurture each other. I really hope the museum can find some small way to pay tribute to this aspect of Williston's work in their exhibit- emphasizing the ways the creative and the analytical can work together can only help draw more youth to science. 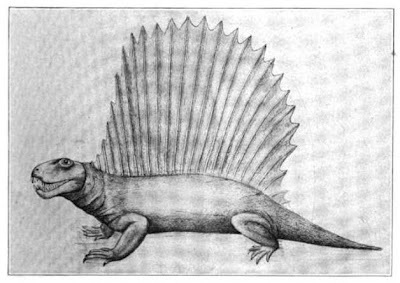 Dimetrodon restoration by Samuel W. Williston, from his Water Reptiles of the Past and Present. A new Boneyard came out this week at The History of Geology. If you haven't checked it out yet, head over there. David Bressan did a great job putting it together. Zach at When Pigs Fly Returns is up next, on January 4. Send in your submissions! The Science-Arts Friendfeed, managed by Glendon Mellow, hit 100 sites this week, and if you're not following it yet, you really ought to. It's easy to check out on Friendfeed, or just add the feed to the reader of your choice, the way I done did it. Trish Arnold wrote about a couple of John McLauglin books this week, The Synapsida and The Tree of Animal Life at her Obligatory Art Blog. If you like my Vintage Dinosaur Art posts, you will definitely get a lot of joy out of Trish's posts. Speaking of synapsids, a very complete Dimetrodon was discovered in Texas, and Brian Switek wrote about it at Dinosaur Tracking. Project Dryptosaurus has been featuring interviews with paleoartists of various disciplines, including this one with sculptor Tyler Keillor. Saurian waxed rhapsodical about the splendid complexity of Tyrannosaurs. Head over to Palaeoblog and say hello to the new ceratopsian from Korea, Koreaceratops. The presence of really tall neural spines on the tale leads the authors to propose an aquatic lifestyle for the little guy. Tamara Fletcher discussed early Cretaceous pterosaurs in Australia as well as her experiences as a young researcher in a guest post at Dave Hone's Archosaur Musings. Not dinosaurs, not even paleontology, but the current controversy happening within the American Anthropological Association deserves a little of your attention. It all stems from the AAA's excising of the word "science" from their long range plan, which has made researchers in anthropology's scientific disciplines feel excluded by cultural anthropologists. Daniel Lende's post at Neuroanthropology is a good home base to learn about the issue, as he's pulled together a whole lot of posts and provides a good summary of what anthropologists are writing. Chinleana: Surprise! Scientists now say that Crocodiles are not "Living Fossils". Let's Listen to "Dinosaur Rock"! Cloud415 shared this illustration by SkinnyAndy, called "Xylosaurus." It's pretty darling. This was so easy. I had to go with Brian Engh's exploration of sauropod display structures. Illustration copyright Brian Engh, used with his permission. Included with the final piece, which features two Sauroposiedon displaying to each other with inflatable sacs on their necks, is a correspondence with paleontologist Matt Wedel of SV-POW!, who encourages him to think boldly. Head over to Brian's blog to read more; Wedel also posted about it. Engh's work was also prominently featured in Tor Burton's new overview of the spinosaurs, published by PalArch this week. I suppose this isn't so terribly off-topic, as it has a science theme to it. I'm a DEVO fan from way back, and this year they released a brilliant record called Something for Everybody (okay, except for "Cameo." How "Knock Boots" didn't make the cut but "Cameo" did, I'll never know). The song "No Place Like Home" is a scientific/ humanistic anthem if ever there was one. Here's a fan video of the song. Another great find from Tricia Arnold, Life Story is a 1989 1962 title by Virginia Lee Burton which depicts the history of life on Earth as a great stage production. Beginning with the origin of the Sun and Earth, it then sets the stage for life to develop, then presents the life of different geological periods as acts and scenes. The Mesozoic gets its time, of course. When I saw these pop up in the Vintage Dinosaur Art pool, I knew that I'd be writing about them soon. The truth is, when I'm scouring second hand stores for cool old dinosaur books to feature here, I put back a good percentage. I'm not exactly rolling in the dough, and if a book is plain unremarkable, I'm not going to spend money and time on it. This is the perfect example of a title that I'd clutch to my chest until I'd been through the checkout line for fear that some grubby-fingered urchin would try to grab it away from me. Fitting the book's central conceit perfectly, the compositions are very "stagey," almost diorama-like, looking like an illustrated version of a school play. I also love the colors chosen by Burton. The dinosaurs look like paintings on black velvet. I assume that this is due to her choice of scratchboard as her medium, though I'm not one hundred percent sure that it was used for this book. Scratchboard aficionados, feel free to weigh in! Check out the Parasaurolophus, as well as the depiction of a fully bipedal stance, a quadrupedal stance, and swimming. All that's left would be one blowing fire out of its nostrils. You'll notice that the foliage has also changed, reflecting the proliferation of flowering plants in the later Cretaceous. For more Vintage Dinosaur Art, stroll through the Flickr pool or my past posts in the series. A week ago Monday, Michael Barton of Dispersal of Darwin reviewed Switek's Written in Stone, and with the review he shared a clip of a program called Paleoworld. It aired on The Learning Channel in the US in the mid-nineties (apparently it airs on the Science Channel now). I have to share it here. It's classic Robert Bakker. I love Bakker's Thanksgiving table mini-lecture, but what really grabbed me when I watched this was seeing that gorgeous cassowary at the very beginning. That's a dinosaur. Straight, no chaser. A living, breathing dinosaur. Look into those eyes. Lovely. I want one for my yard. Here's another great video, this one of an unexpected meeting with a cassowary. I love the way bird and human are sizing each other up. Given the cassowary's reputation as a dangerous bird (perfectly suited to one of Velociraptor's closest living relatives), the man's wariness is warranted. That head adornment is called a casque, and besides being a display feature, the cassowary uses it as a tool to clear the ground as they forage for food. Well before birds' theropod origin was scientific consensus, Barnum Brown named Corythosaurus casuarius for it, one of the crested duckbills. Decades later, C. casuarius was one of the lambeosaurs whose ontogeny was studied by Peter Dodson. He used the cassowary as "an analogy" for the lambeosaurs of Alberta's Oldman formation, an example of an extant animal that goes through the same kind of radical changes in skull structure in adolescence. Jack Horner then cited Dodson in his and Goodwin's paper lumping Dracorex and Stygimoloch with Pachycephalosaurus (not everyone agrees that the change they propose are analogous to how cassowary skulls develop, though; the Horner and Goodwin Pachycephalosaurus grows and resorbs bone while the cassowary simply grows it, albeit quickly and dramatically). Though it's a ratite, one of the big, ground-dwelling birds who aren't necessarily acclaimed for their songs, the vocalizations of cassowaries are of special interest; they have been found to employ very low-frequency sounds, at the lower limit of human hearing, for communication. The cassowary gives me goosebumps (pardon the pun) when I see it; there's no other that reminds me so strongly of a dinosaur. I know it's a silly sensation, more grounded in emotion than reason, but I willingly submit to it. I think that humans need those emotional queues to give the pursuits of science meaning beyond truth, to create those strange feelings of connectivity with the rest of nature that have so entranced us for our history as a sentient species. That's a bit of me waxing Scott Sampsonish. Painting by Istvan Kadar, shared at Flickr. Happy to announce that after my desperate, down-on-my-knees pleas of last Friday, the Boneyard received a bunch of submissions. Plus, I discovered that my gmail accounts were not properly synced, and found a few previous submissions. David Bressan has posted Boneyard 2.4 at History of Geology, and I want to thank him for doing such a great job, using vintage images throughout and organizing the pieces with a "life of a fossil" structure. Head on over and read it, and show David some love for being a fine host. Carnotaurus by Brian Chan, designed by Satoshi Kamiya. Tuojangosaurus by Philip West, designed by Fumiaki Kawahata. This month, Karl Dawson launched a pretty unique business venture: Awesomeosaurus T-shirts. Every month, a new t-shirt design becomes available. After 28 days, it goes "extinct" and that's it - everyone who has purchased one is now the member of a very exclusive club. Cooler still, 10% of the proceeds from each shirt goes to charity. When Karl contacted me via his Twitter account, I thought it might be fun to do an interview rather than just throwing up a link to the site. Read on to learn about how he came to start the site, what's in its future, and why dinosaurs figure so heavily in it. Can you tell us about your background? How and when did you decide to do the site? I've been a web designer / developer for the last 10 years so I've been tightly integrated into the whole Interweb since the days of Internet Explorer 4 and computers with only 256 colours. I'm most proud of my 10 years in the UK Reserve Forces though - nothing really compares to that life once you've tasted it. Two decades, that makes me feel old! The decision for going into business for myself came this time last year when I almost made my wife a widow before our 1st anniversary - a routine surgery ended up in me developing a massive pulmonary embolism. Waking up to be surrounded by a crash team and learning that you've cheated death three times over the last week is a real eye opener and motivator. It took six months to get back to normal and once I had my strength back I started to act on my dream. Coming up with the idea for Awesomeosaurus t-shirts was an odd mix of exploiting what I know of the Web and seeing an advert on the side of a bus stop. Being a web geek I immediately saw the potential of the word awesomeasaurus they'd used - spell it a bit different and stick a dot in there and it was a very cool URL. 10 minutes later I'd bought it and then maybe a few weeks later in August I decided that I could use it to build a t-shirt business. What's been the most challenging thing about getting this project off the ground? More challenges than I thought but perhaps the biggest one is learning new stuff like marketing. It stresses me out at times but learning what doesn't work is just as important as learning what does. In time, it'll come together I'm sure. Did you do the illustration for the first t-shirt, T. rex vs. zombies? What was the inspiration? I wish I could draw or do anything graphical! My design expertise is in organising web content, getting it to fit on a page and make it easy to navigate. Not being arty has been my procrastination crutch for years but I've realised that the only way I'll get these ideas out of my head is to pay someone to do stuff for me that I can't. I held a design competition over a week in October with a few constraints that weren't too prescriptive and some real gems were submitted. 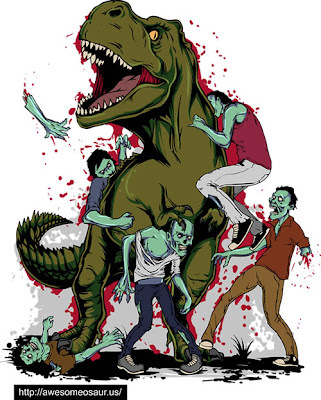 I wanted to explore the outcome of a T. rex fighting the resurgent, even mainstream, popularity of zombies. A winning combination for the inaugural design in my mind. When I saw the design that eventually went on to win I was ecstatic! It was a few zombies short but was exactly what I had envisioned. Strangely enough, the design in my mind's eye came from a graphic used in the old board game BattleTech in which small armoured battlesuits were tearing apart a much larger 'mech. The litmus test of friends reactions has definitely been a genuine "Wow!" Will Awesomeosaurus be exclusively dedicated to dinosaur designs? Definitely. I fear we may end up perpetuating popular myth - humans and dinos for example - but it's all good fun and there's a lot of memes to re-imagine. I'm very keen to get feedback from the community on what themes they'd like to see in the future. I have a Facebook Page to facilitate community building and already one idea has surfaced. What's your favorite dinosaur? Has it changed from when you were younger? Back in the day it would have been a T. rex for sure but in pop culture terms those evil buggers in Jurassic Park take top spot for me now (even knowing that they got the Hollywood treatment). I liked the obvious intelligence, cunning and team work they demonstrated. In the real world of palaeontology my favourite is the pterosaur - cookie for knowing it's not technically a dinosaur? The evolutionary significance of being the earliest flying creature seals it for me. 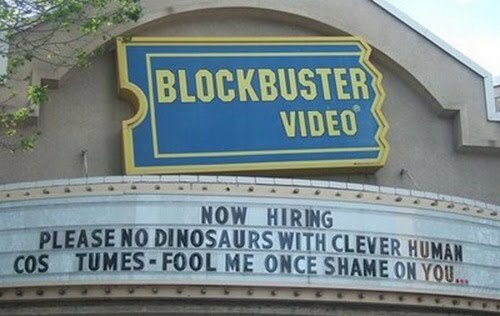 And your favorite dinosaur movie? Easily Jurassic Park. It had all the elements of a great film for me - wonderment, thrills, humour and technical brilliance. Pure escapism for a few hours. Will you also be donating to other charities with this project? Yes, definitely. I have two US charities already in mind and I'm looking globally as well. As a differentiator I wanted to dedicate each Awesomeosaurus t-shirt to a particular charity and then through social media raise awareness of them amongst the community. I have a couple of charities in mind for later but I'd love to get suggestions from people and charities themselves. One thing I have learnt this week though is to start negotiations early - it's not easy giving money away! Shocker I know, but to get tax breaks for the incoming money there's a government bureaucracy somewhere to overcome. How do you find illustrators to work with? How many designs are lined up for future shirts? In the first instance I tapped up friends but I had a deadline and only people working as a business ultimately deliver to it. Favours and promises didn't cut it sadly. I pitched my concept and prize as a one-week competition on the 99Designs website and will use it again (or work directly with previous designers) until illustrators want to get involved and offer their hard work. I already have concepts to explore for the next three designs (including one received via the Facebook Page) and I'm sure our collective brains can think up more. You've done a great job with your Facebook page - what advice would you have for folks who are looking to build theirs up? I'm asking for my own benefit as well! Any final comments or anything we didn't touch on that you want to talk about? It's been an honour and a great experience - I hope your readers got all the interesting bits! Thank you for the opportunity to spread the word about Awesomeosaurus t-shirts and it's charitable mission. Thanks to Karl for answering my questions, and I wish him the best of luck with this venture. To keep up with Awesomeosaurus and, of course, buy some shirts, follow the Awesomeosaurus blog, tweets, and Facebook page. UPDATE: Just discovered I had a problem with my gmail accounts that prevented the submissions sent to the carnival's email account from getting to me. It's fixed. Still, response has been light, so for the most part, what I wrote applies. Yep, not so much a "call" as a "plea." No sugarcoating here. I haven't had a single submission to Boneyard 2.4, which is due to be posted at History of Geology on Tuesday, December 7. I really, really, really want to make the Boneyard work, and so far it has been progressing slowly but steadily. Until now. This is a big hurdle. There are carnivals dedicated to all kinds of cool scientific topics, and paleontology deserves one, too. I have no intention of giving up on it yet, but I have to admit... I'm a little pessimistic about it, as Brian Switek's first go at the Boneyard fizzled out due to lack of interest. And in the blogosphere, he's an elephant and I'm a mouse. So I have every reason to believe that it might have the same outcome in my hands. I'm certainly not trying to guilt people into submitting. I want its growth to be natural, because there is genuine interest. But I'm willing to do some heavy lifting to nurture it and get it to that point. For a little while. I'm interested in some constructive feedback here. Have any ideas for how I can better promote the carnival? Ideas for why the paleo-blogosphere either doesn't know about it or isn't as receptive to carnivals as those dedicated to other branches of science? War stories of getting your own carnival off the ground? I have a feeling that the problem is multi-faceted. Anyhow. Thanks for reading, helping, and advising.